Dr. Richard Rothenberg received his M.D. from Harvard Medical School in Boston, MA and a master’s degree in public health from Harvard School of Public Health. 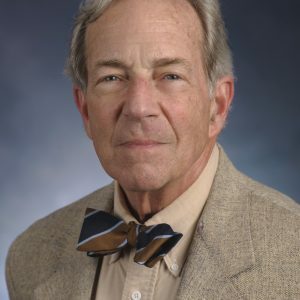 He previously worked at Emory University as Professor of Medicine (1993-2007) and prior to that had spent 25 years at the Centers for Disease Control and Prevention (CDC). Over the past several decades, he has conducted research that examines the dynamics of transmission of infectious diseases, primarily HIV, STDs, and the blood borne illnesses (BBIs)., with particular emphasis of the effects of social, sexual, and drug-using networks on transmission. He currently focuses on community-based HIV intervention and the use of urban metrics to identify health disparities. Dr. Rothenberg has published more than 200 peer-reviewed articles, primarily in the fields of STD, HIV, urban metrics and epidemiologic methods. In 2002, he received the Parran Award (now called the Distinguished Service Award) for lifetime contributions to the field of STDs. He recently stepped down after 18 years as editor-in-chief of the Annals of Epidemiology and now serves on the Editorial Board of the Journal of Urban Health. Dr. Rothenberg teaches, epidemiologic methods, prevention methods, STD/HIV epidemiology, grant and scientific writing, and an Honors undergraduate course in the scientific method. Rothenberg R, Weaver S, Dai D, Stauber C. Prasad A, Kano M. Urban Health Indicators and Indices—current status. BMC Public Health. 2015 May 16;15:494. doi: 10.1186/s12889-015-1827-x. Rothenberg R. The causes of cancer, revisited. Ann Epidemiol 2015;25(3):215-216.